A lovely addition for my daughter’s wedding that can be passed down. We couldn’t be happier. 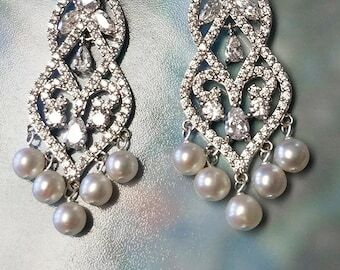 Did you know I love pearls? Making headbands, cuffs and earrings for Etsy brides! 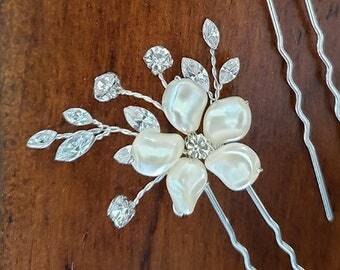 Making pearl flower bobby pins for bride Carissa, using freshwater champagne pearls. Adding flower and pearl embellishments to the focal point on this light gold hair vine. 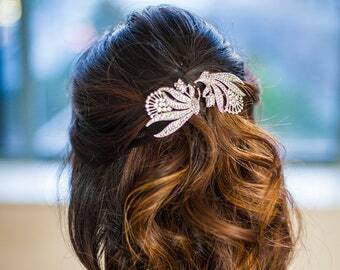 Lightweight and bendable so you can easily bobby pin into anto hairstyle. Thank you for looking at my Etsy shop! 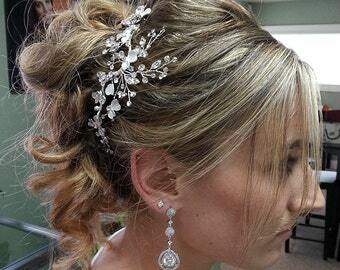 I am blessed that I get to actually do what I LOVE...make beautiful accessories for brides. When I started making jewelry, my vision was to make jewelry 'for everyone in the world' - thus the name 'One World Designs'. It got to be a bit overwhelming, so I narrowed it down to making jewelry for brides which was the best decision ever! My specialty is making custom pieces, but I also re-design manufactured pieces to make them unique and personal so you'll want to wear them again and again. 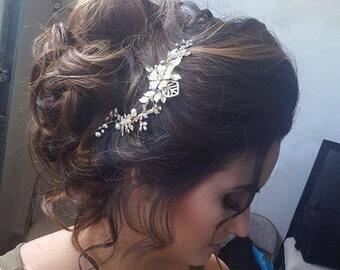 My philosophy is that a bride should absolutely love everything she is wearing on her wedding day. I take pride in my designs and how each piece is put together. Accessories should enhance the dress — not overpower it. 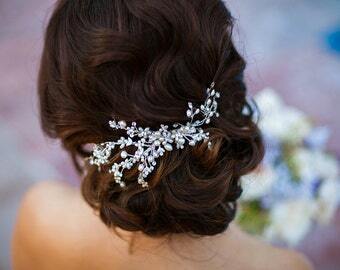 Jewelry is so personal - it's the little details of your 'personal style' that show others the real you - especially on your wedding day. If you need something custom...just ask! 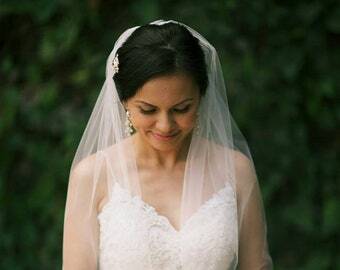 I love working with brides to customize and create accessories to make their vision a reality. I love the little details when creating accessories...yes...a perfectionist, Type A personality. 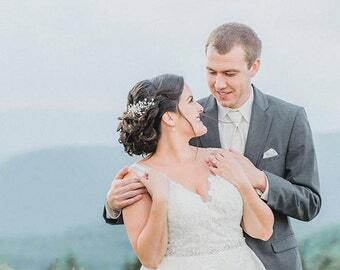 I am married to a musician and we have two beautiful children, Kayla and Rylan. I love animals (but not spiders). I live in my jeans, t-shirt and/or sweaters...flip flops in the summer/boots in the winter/comfy slippers at night. I like pearls, purses, green smoothies, dark chocolate, pinot noir wine, sunny days, the beach and music. 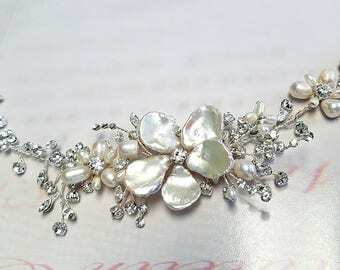 About 15 years ago, I began making bridal jewelry and wedding accessories for brides. My specialty is making custom pieces, but I also re-design manufactured pieces to make them unique and personal so you'll want to wear them again and again. Need something customized? Convo me and, together, we can design something special. All items are handmade custom just for you...all sales are final. If there is a quality problem within 3 days of receiving the product, convo me - I will replace any defective item. 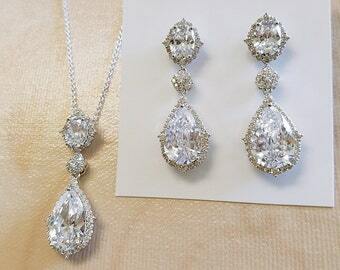 I want you to absolutely LOVE your jewelry and be able to wear it again and again. If you are really not satisfied with your purchase, please convo me and we will work together to reach a resolution. You can pay with a credit card: Mastercard, Visa, American Express or Discover. You can pay me directly: I am a Visa/Mastercard merchant and can process your cards...convo me for details. California residents will be charged 9.25% sales tax (the tax rate in Campbell, CA). During bridal season, please allow up to 2 weeks for items to be made and shipped. If you do need something in a hurry, convo me prior to purchase so I can make sure I can meet your deadline. In the USA: I ship USPS Priority Mail, approximately $5.00-$13.50, (price depends on the value and size of the package) which includes insurance, tracking and delivery confirmation. Larger items will cost more...express and overnight delivery is available - contact me for exact pricing and options. International: USPS international shipping prices have increased. Convo me and I will change the listing for your country with the appropriate pricing.